New products are the lifeblood of any industry but this is especially so with construction where comfort and well-being, energy efficiency, life-cycle costs and regulatory compliance are now so critical. The good news is that these products are evident in abundance at Architecture Expo & Building Expo. Innovation and advanced technologies feature prominently, an added bonus being that experienced personnel are also on hand to discuss specific projects and advise on customised solutions. 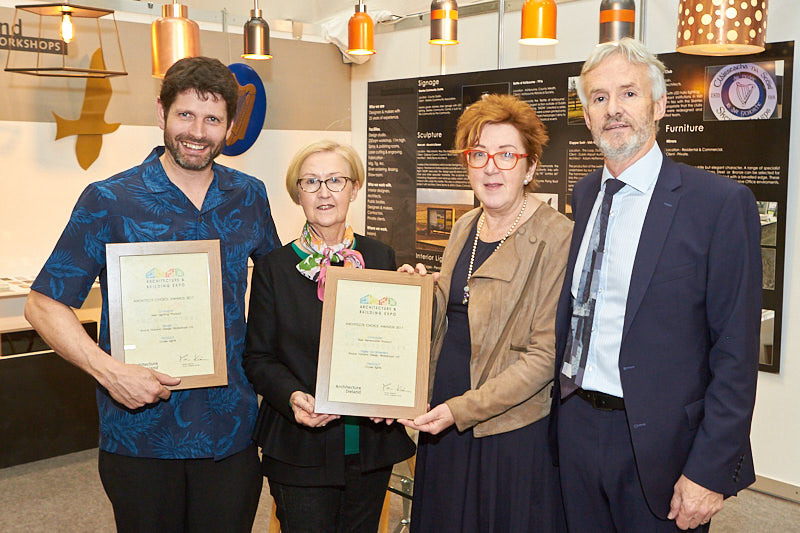 The panel of assessors comprises architects and designers representing a diverse range of experience, knowledge and expertise, and Maria Kiernan, FRIAI, Kearney & Kiernan Architects — Interior Designers; Emmet Kane, Woodturner, Designer, Artist; Simon O’Driscoll, Simon O’Driscoll Furniture; Dr Sandra O’Connell, Director of Architecture & Communications, RIAI; Eleanor Heylin Kelly, Accreditation Process Advisor RIAI; Trisha Younge, Trisha Younger Interiors; Cathy Prunty, School of Architecture, DIT; and Pat Lehane, Architecture Expo. If it is solutions you want, then visit Architecture Expo in the RDS on 5&6 October next. Log on to https://www.registrationdesk.ie/architecture-expo/ to pre-register and gain hassle-free access on arrival.